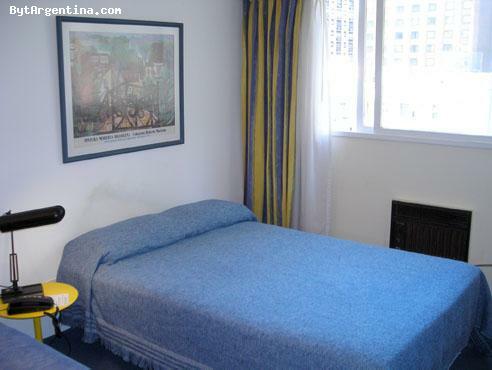 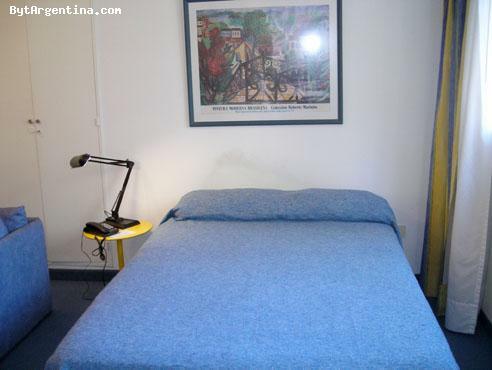 This nice apartment is bright and quiet, greatly located in Recoleta, surrounded by small parks and plazas, numerous fine restaurants, bars, and shopping areas as well as many museums and cultural activities. 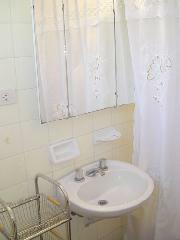 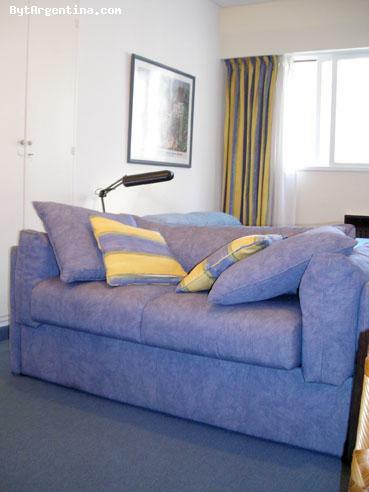 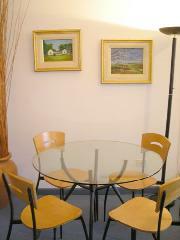 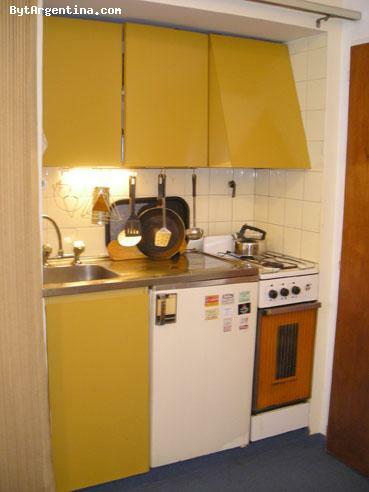 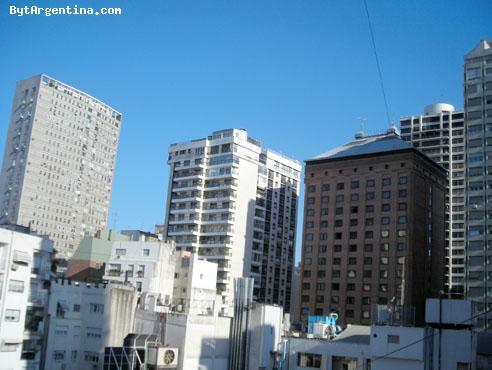 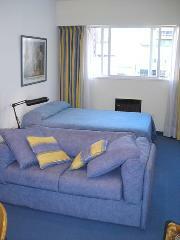 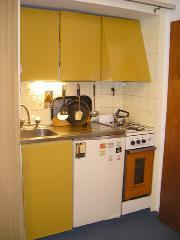 This apartment is located beside the well known Patio Bulrich mall, one of the nicest shopping malls in Buenos Aires. 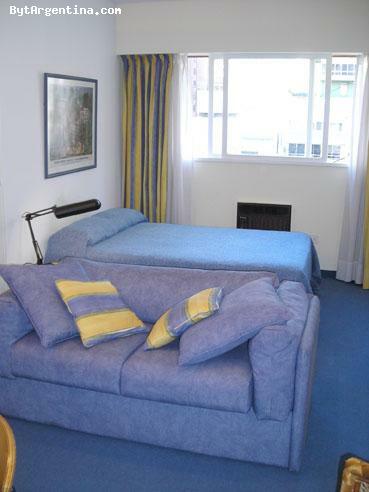 The flat offers a a comfortable bedroom area with a queen size bed, a dining area with a table for four, an equipped kitchenette and one full bathroom. 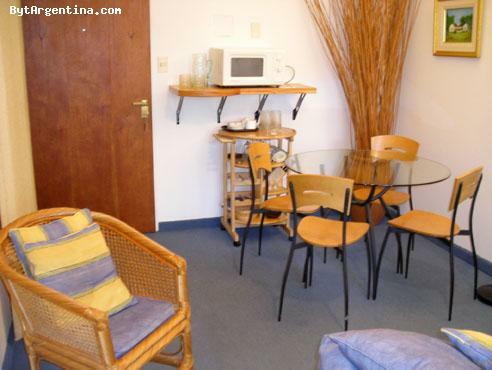 It´s equipped with air conditioning, cable TV, refrigerator, dishes, kitchenware, linens and towels. 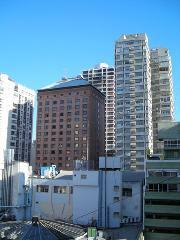 The building has 24 hours doorman, terrace-solarium and laundry.